unique items for a HAPPI lifestyle! 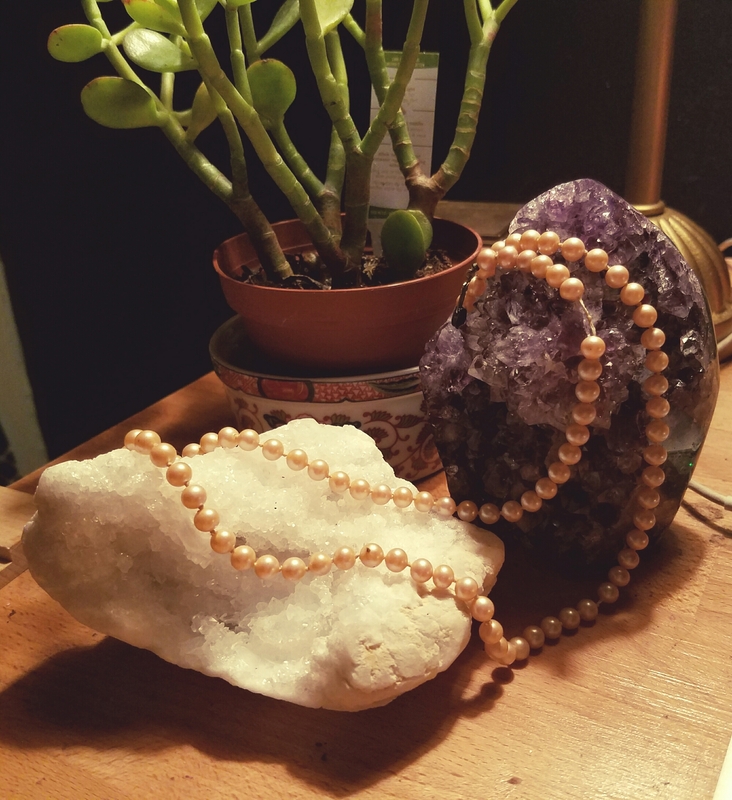 Every so often I find myself pulling out a strand of pearls that belonged to my grandma. There is nothing special about the pearls and they aren’t even real. But before i know it I’m rubbing the Strand thinking of her…I wonder if she would be proud of me. What would she think of her great-granddaughter. I then shift to memories of us sneaking ice cream, my brass bed in her house and her smile. It’s funny how many memories and emotions that can be conjured by a simple old necklace. Do you have an pieces that bring up good memories for you? If so please share! Its not a cubic zirconia. Zircon; unlike cubic zirconia, is a naturally occurring stone. Its’ brillance’ and ‘fire’ is similar to that of diamonds. It contains radioactive trace elements that make the internal crystal break down over time. Many are heat treated to reverse this damage, or to enhance its color. To learn more about Zircon check out this page at GIA! Researchers at MIT have created jewelry with goldleaf, that can be programmable to do various things when heated up by the skin. Check out this cool story below!